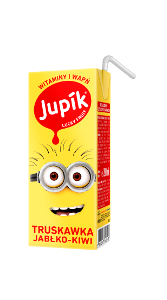 Jupik is one of the brands that are the longest existing on the market of children’s drinks. 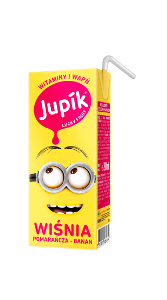 It was Jupik who first introduced, among others, flavored water for children, thus setting a new direction in the category. 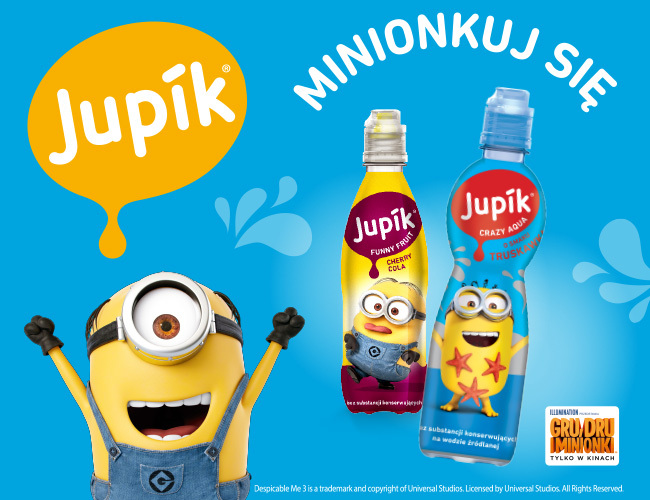 Jupik’s portfolio is fruity drinks and flavored waters, dedicated to children. The brand’s offer includes the following flavors: Cherry-Cola, Apple, Multivitamin, Strawberry-Orange, Orange – in the line Jupik Funny Fruit and Raspberry, Orange-Carrot-Lemon, Strawberry-Kiwi-Kiwi, Cherry-Orange-Banana – in Jupik Lucky Fruit, Lemon and Apple lines – in the Jupik Crazy Aqua line. Each of the products in the bottle is closed with a non-stopper, safe and comfortable for children.